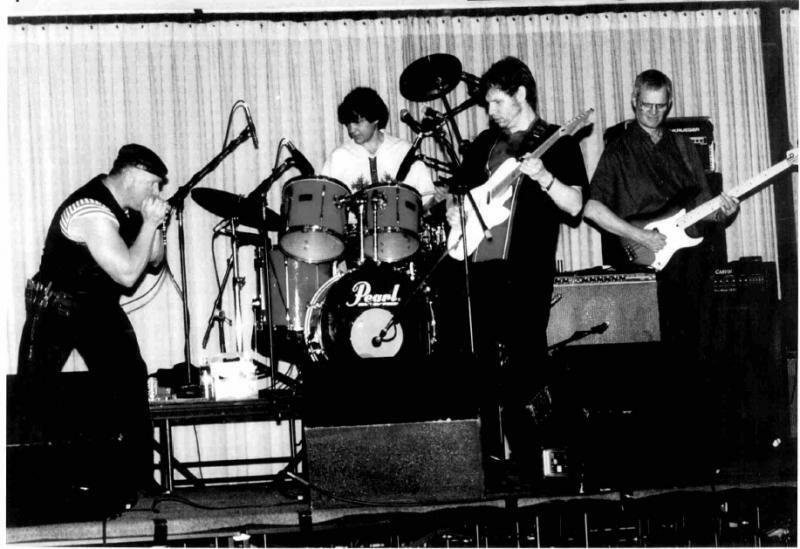 The Blue Aces circa late 1990s. Left to right are Steve "The Harp," George Boyle, Billy Galt, and Al Chapman. 2017 has been the year of musical reunions in Bloomington-Normal. In April, The Something Brothers, Mojo Stew, and The Mechanics convened at the Castle Theater in an encore for the ages. Marc Boon’s R&B big band Hip Pocket followed suit a few weeks later. 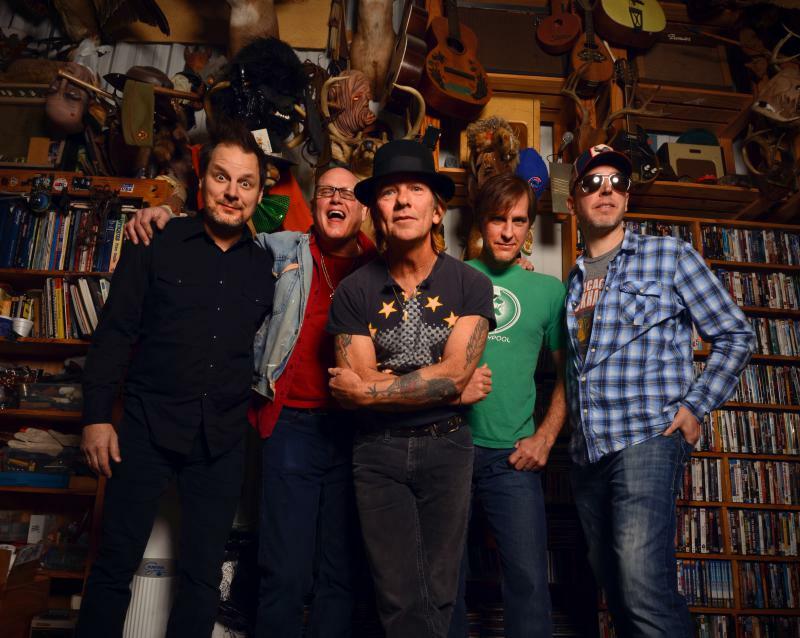 And on Aug. 27, the four-member straight-up blues band The Blue Aces join the reunion tour. The Blue Aces scoured the central Illinois landscape between 1998 and 2003, and served as the house band for the Thursday night blues jams at Bloomington’s Rosie’s Pub. So 14 years after disbanding, why a reunion? Drummer George Boyle mentioned the fun he had with fellow members, including Steve “The Harp” Mehlberg. 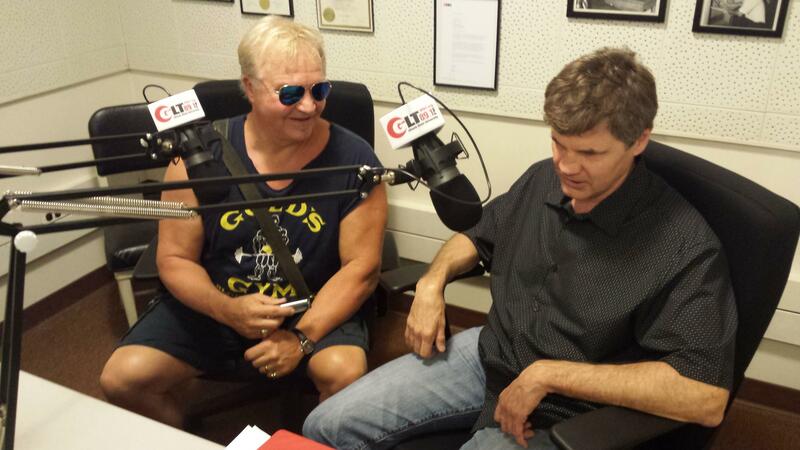 Steve "The Harp" and George Boyle talk about the Blue Aces reunion in the GLT Studio. Mehlberg and Boyle both had connections to the now legendary Chicago harmonica player Big Walter Horton. Boyle had played with Horton inn 1980; Mehlberg had adored Horton since he saw him at the Ann Arbor Blues Festival in the early 1970s. Because of Boyle’s time with Horton, Mehlberg knew instantly that he understood how to play with a harmonica player. The aforementioned Marc Boon was also a connection of sorts. Mehlberg had been playing in Hip Pocket when he mentioned to Boon that he would like to start his own band. Boon mentioned “this drummer George Boyle,” who had just moved to town. As it turned out, one of the first things Boyle did after arriving in town was calling WGLT after he heard a voice on the radio introduce himself as Delta Frank. “But it wasn’t Delta Frank,” said Boyle, referring to GLT’s longtime blues host “Delta” Frank Black. “It was Boon imitating Frank. So I told him I had just moved to town and was looking to play with someone. I remember him suggesting Steve." From there, Boyle contacted his friend, guitarist Billy Galt, who knew bassist Al Chapman. “So the four of us got together for a jam, and it was smooth as butter,” smiled Mehlberg. Many in the Twin Cities have credited the Castle Theater as a catalyst for the revival of the entire Bloomington-Normal music scene. 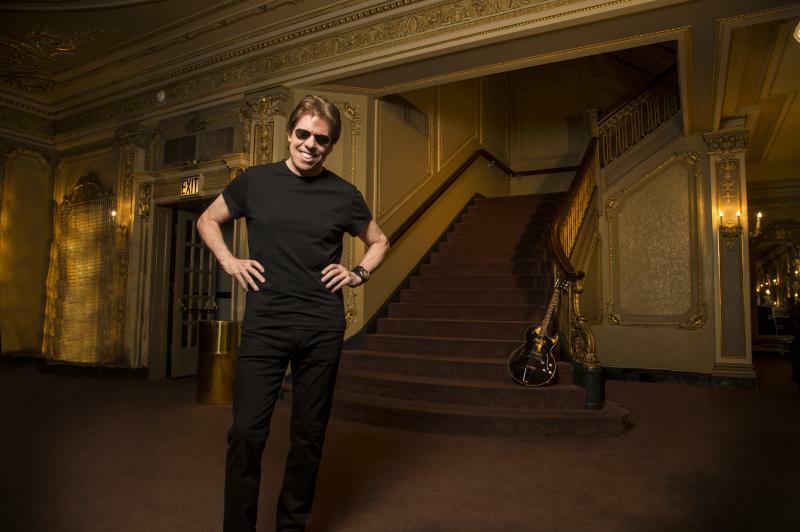 Boyle said it is important that musicians have a place to learn their craft, as he did growing up in Chicago, when there were numerous venues, including non-traditional ones. He wonders if kids will continue to have places to hone their chops. “Nobody starts off great or even good. We all start out as beginners. So it’s exciting to see that the Castle Theater and some of these other venues are bringing back live music because not only is it fun for us to play, but it lets us know there will be a venue for live musicians who are coming up and have great stuff to put out,” said Boyle. As the reunion date nears, Mehlberg related stories about the Castle Theater in its earlier incarnation as a movie theater, including the time his mother took to see "The Ten Commandments" starring Charlton Heston. Sixty years later, the son and the reunited Blue Aces will be the main attraction at The Castle. Doors open at 4 p.m., the show starts at 5 p.m. The reunion concert is also Heart for Africa Benefit Concert & Marketplace. Listen to Jon Norton's entire conversation with George Boyle and Steve "The Harp" Mehlberg of The Blue Aces.